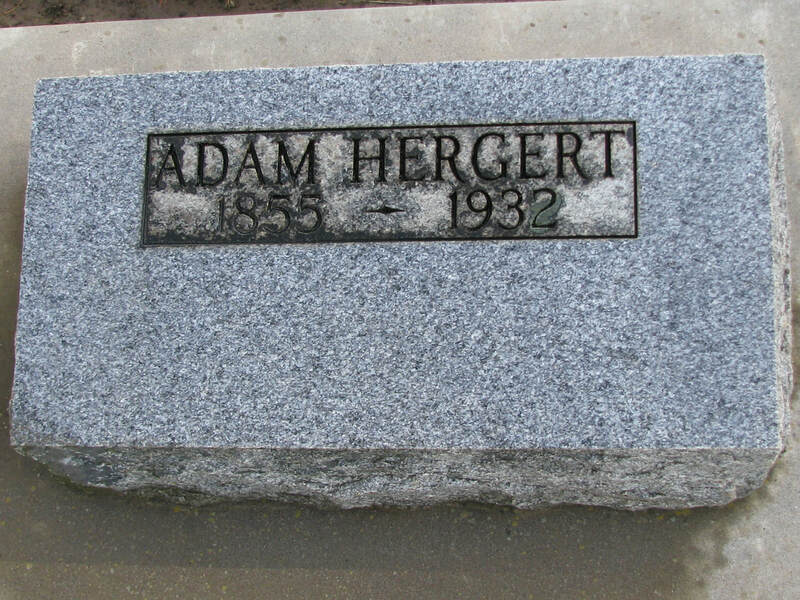 Adam Hergert was born on January 29, 1855 in the Volga German colony of Yagodnaya Polyana, Russia, the son of Philipp Hergert and Anna Margaretha Brecht. Adam married Anna Maria Volcker (also Volker) in 1874. Anna Maria was born October 12, 1854 in Russia. Their first son, Adam Jr., was born in September 28, 1876 (per the passenger ship list, other records show September 28, 1874). Along with his parents, Adam, Anna Maria and Adam Jr., immigrated to the United States in 1876. Sailing from the port of Bremen, Germany they arrived in New York on October 24th abroad the steamship Mosel. Adam's sister, Maria Elisabeth and her husband Heinrich Scheuerman were also part of the group migrating to America. The Hergert's first settled in Kansas. Two sons, Philipp and Johannes were born there. 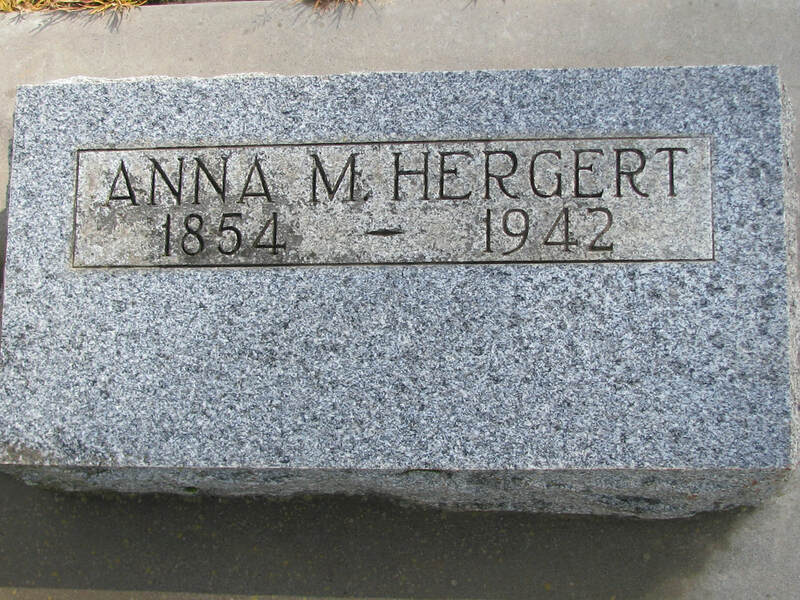 The Hergert's were among the first Volga German immigrants in Oregon, traveling from Kansas in 1881. Adam is listed in the 1882 Albina City Directory (as Adam Herget). Adam is working as a laborer and residing at the Oriental Hotel located on the south side of J Street between First and Second Streets. Finding farmland in the Cornelius area west of Portland, the family departed from Albina by 1883. Adam and Anna Maria would be blessed with nine more children, all born in Oregon: Jacob, Katharina, Herman, Frederick, Wilhelm, Cecelia, Henry, Albert and Edward. ​The 1900 U.S. Census shows the family living near Adam's sister and brother-in-law, Henry and Mary Scheuermann and Henry Volker (born Dec. 1850) who is possibly a brother of Anna Maria. Henry and his two sons are listed as arriving in the USA in 1892. By 1920, Adam and Anna Maria had retired from farming and their son Albert lived with them to provide support. In 1930, Adam and Anna Maria continued living in the Blooming district of Washington County. Their neighbors were Henry and Emma Scheuermann and their son Albert Hergert and his family. Adam died on April 29, 1932 in Cornelius and was buried at the Bloomington Cemetery. Anna Maria died on ​April 15, 1942 and was buried with Adam.